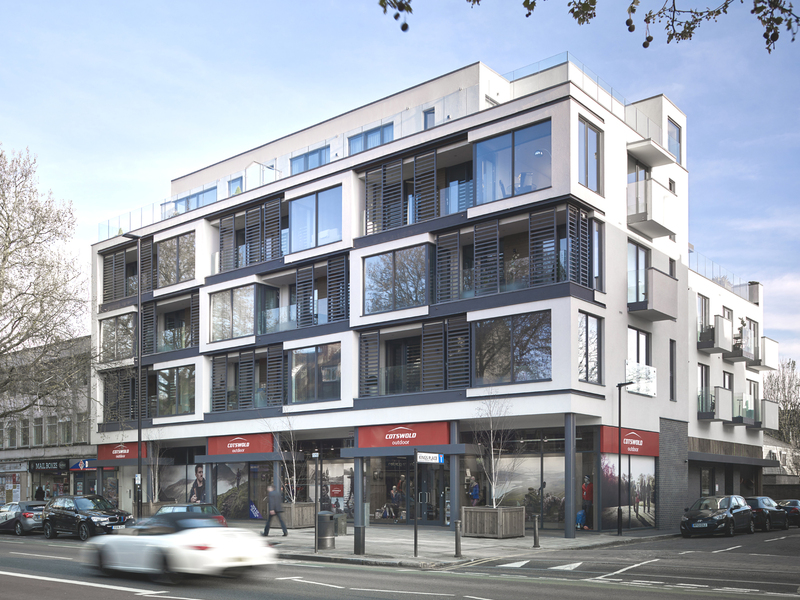 for a private developer, we have designed a new build structure to replace a dilapidated former job centre on the high street. 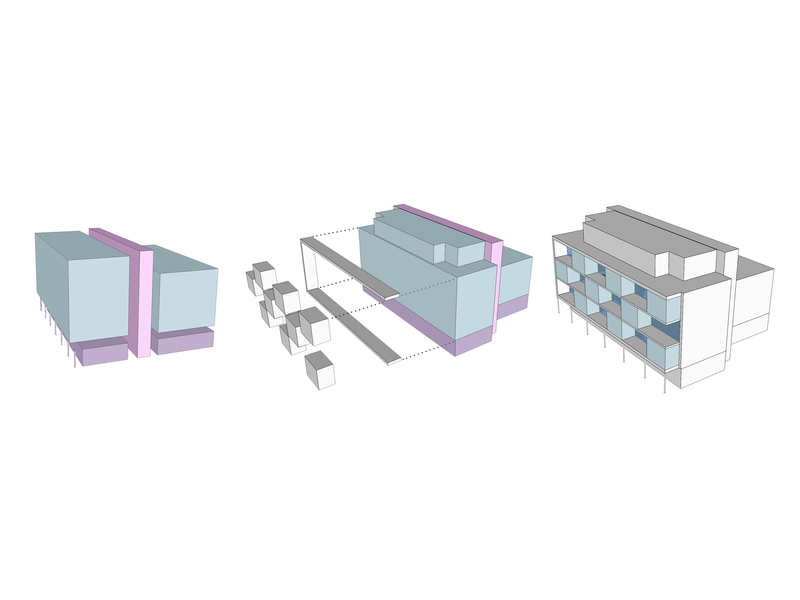 the new building will be mixed use residential with retail at street level and a basement car parking area. 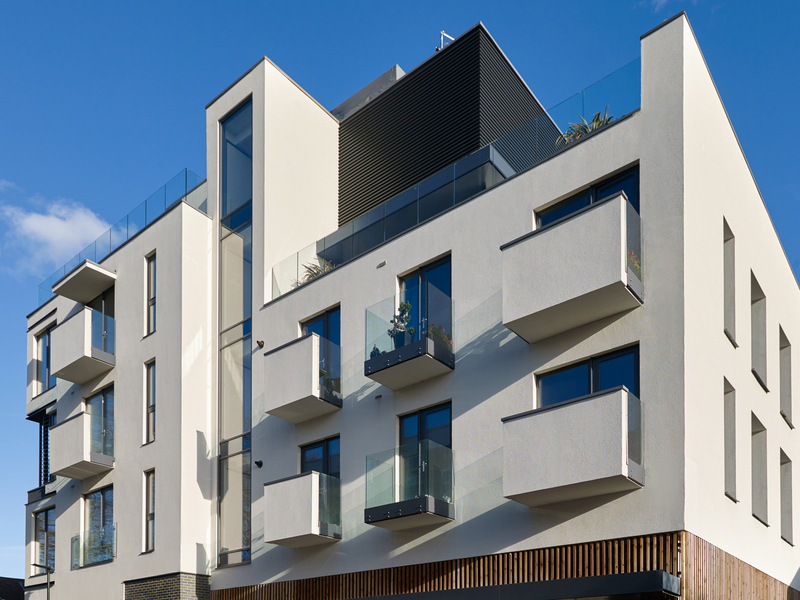 the scheme has been approved for 16 residential apartments of varying sizes, all designed to comply with lifetime homes standards. 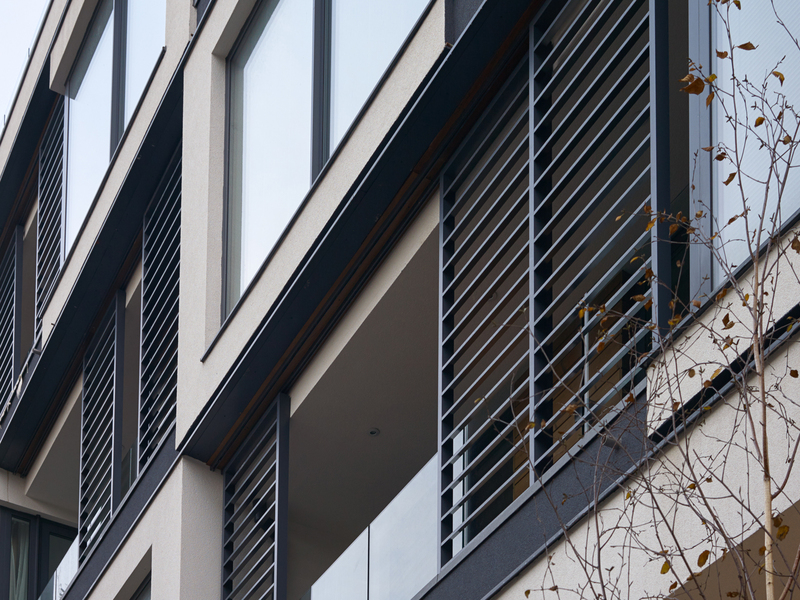 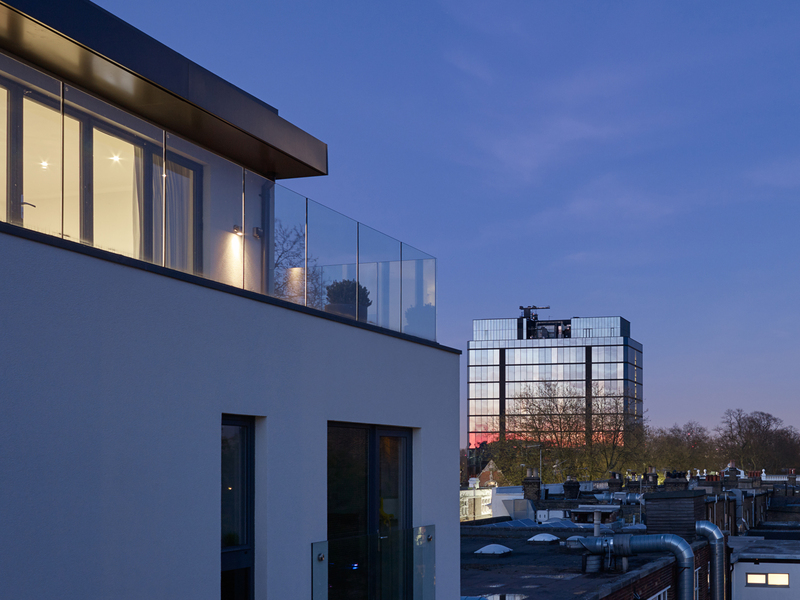 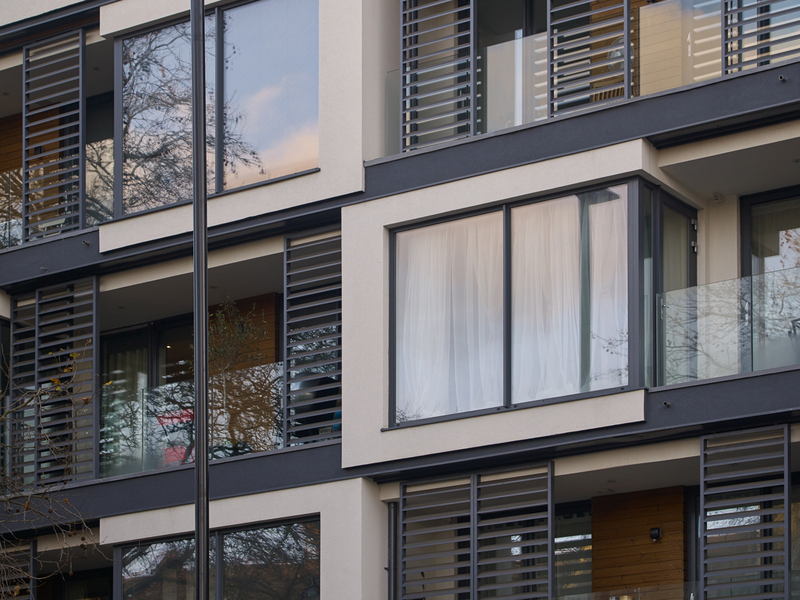 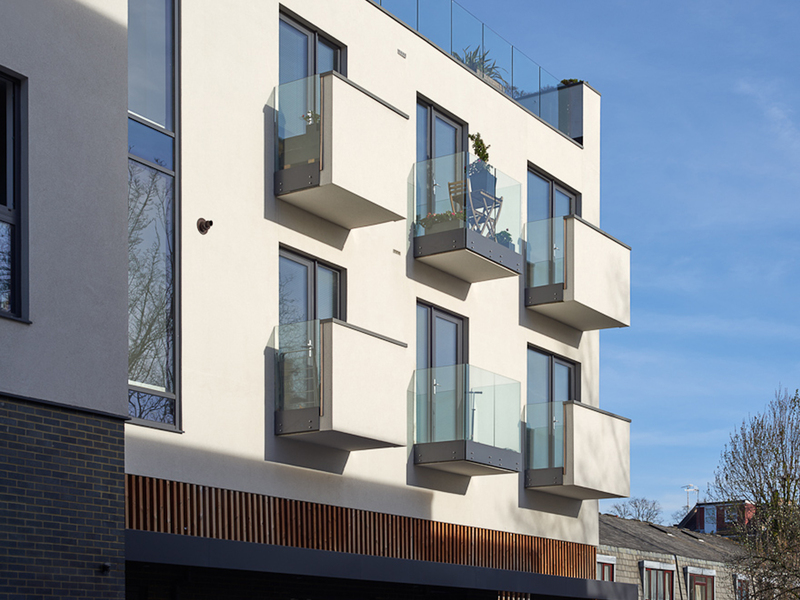 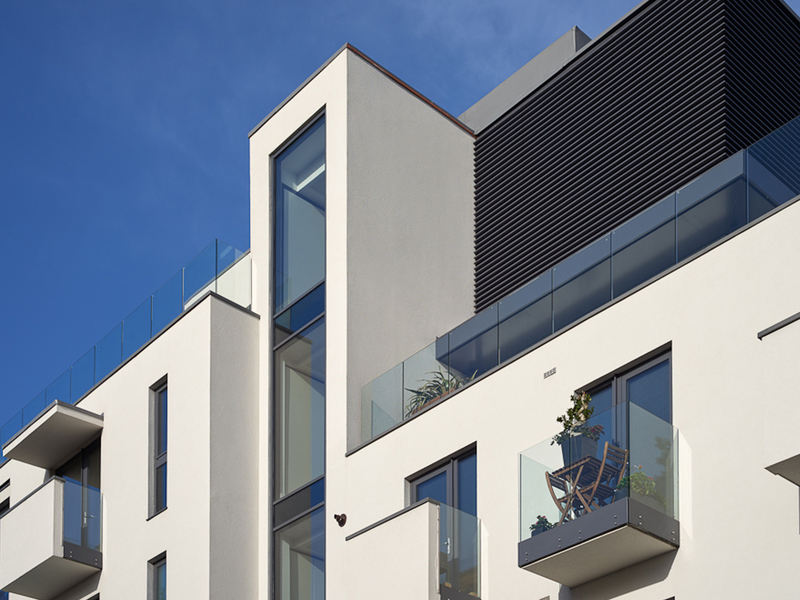 rather than introducing a bland render façade with full height glass openings, we have chosen a language of timber, glass and white render cubes and organised them in an alternating rhythm with inset balconies. 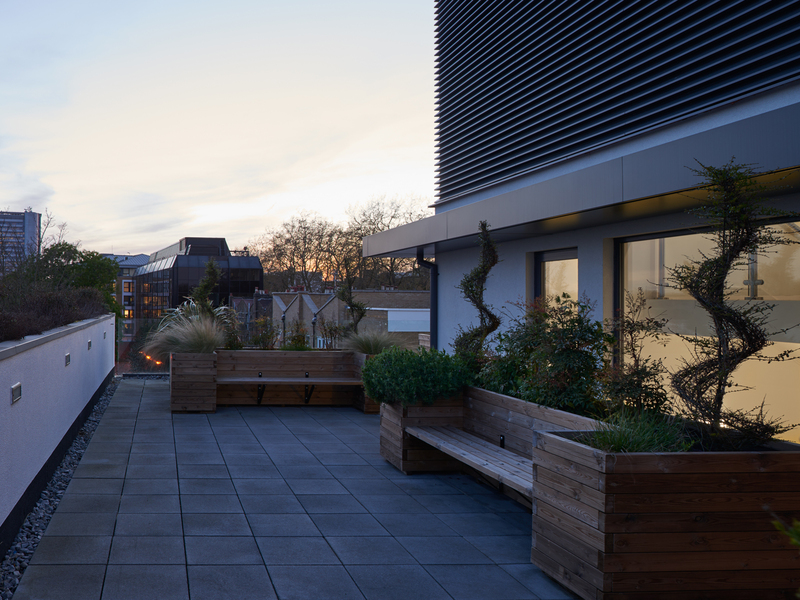 the building is carefully stepped back, respecting the low rise residential buildings at the rear, but still providing spacious terraces and green spaces for the upper floors and penthouse apartments. 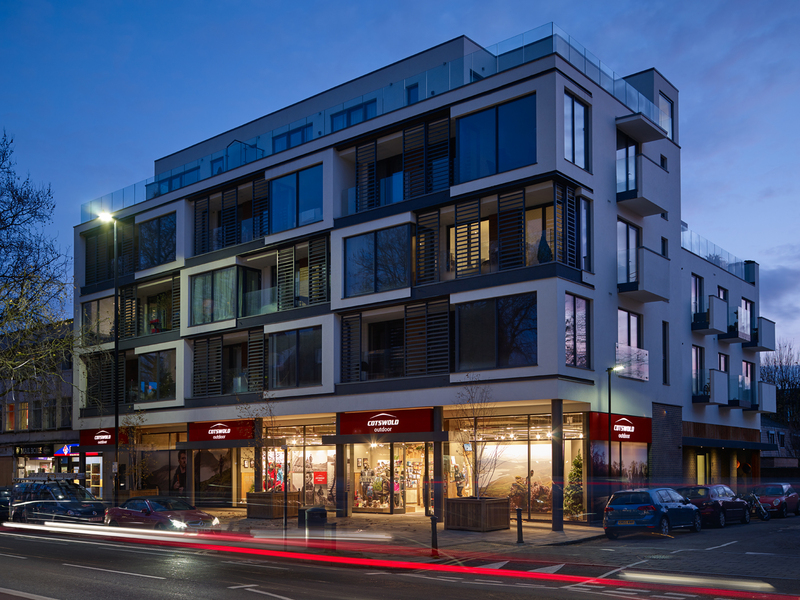 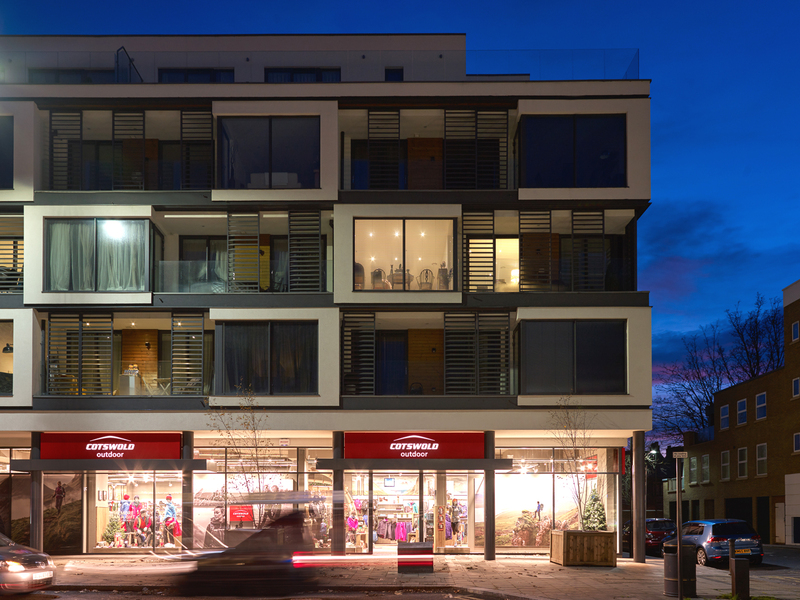 the retail unit at street level is set back from the building line to form an uninterrupted colonnade, as well as providing access to the basement car park and the residential flats above. 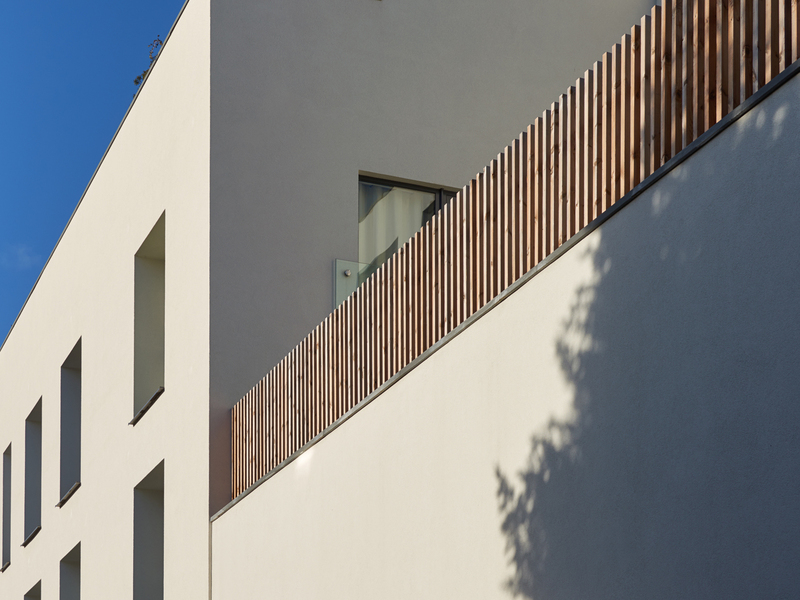 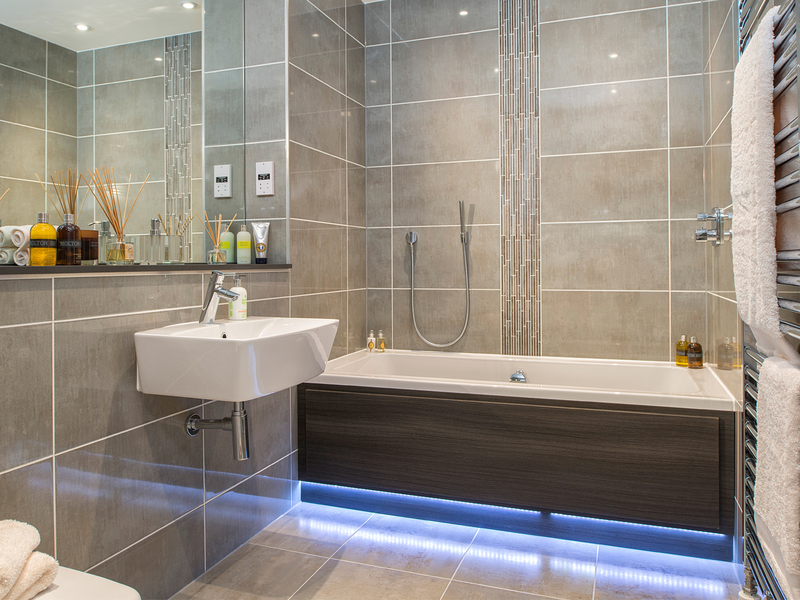 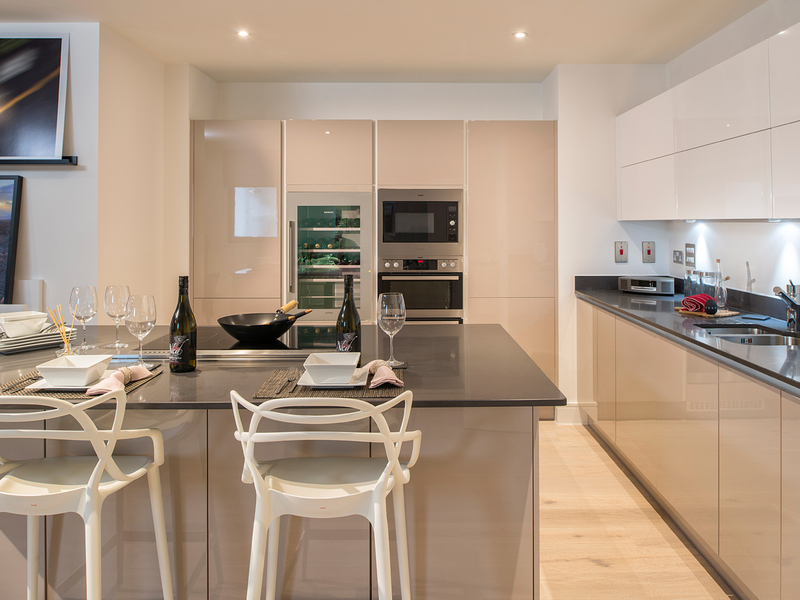 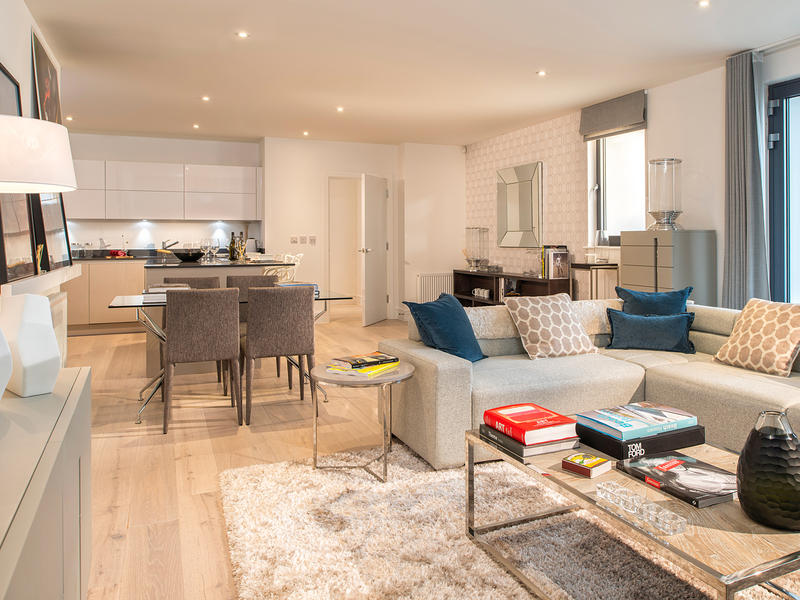 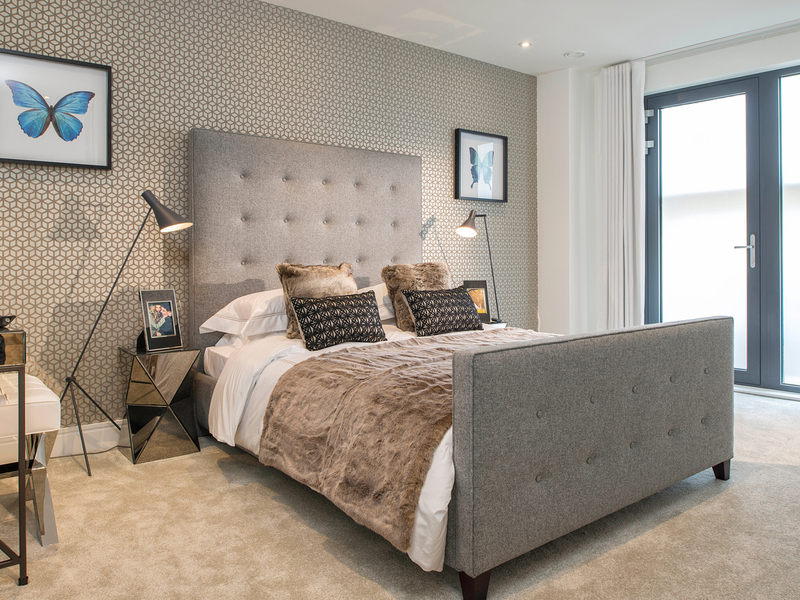 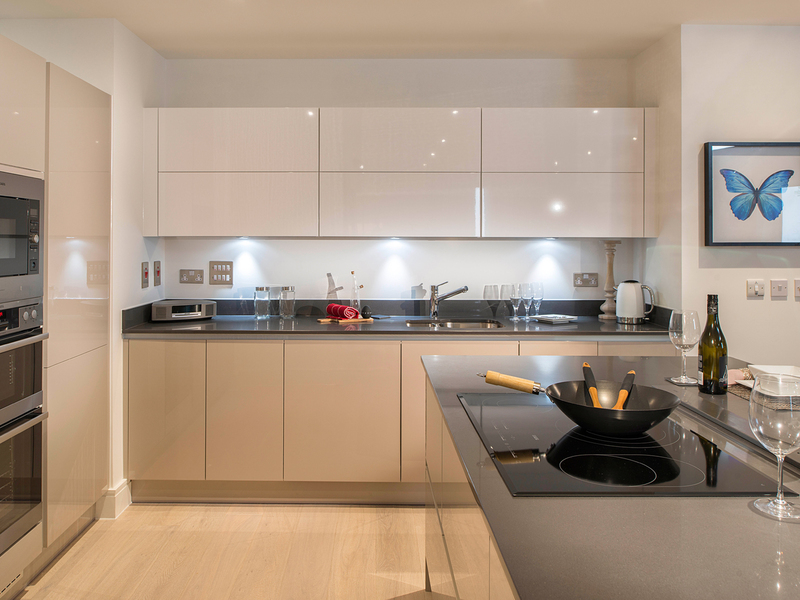 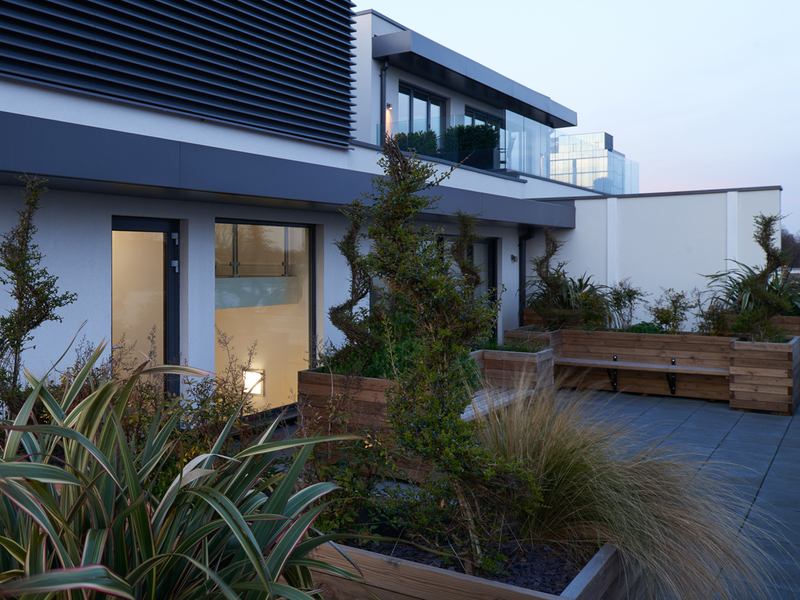 construction is virtually finished on site and the project was commended in the 2013 Sunday Times British Homes Awards.